Perhaps you’ve been listening to Rupert Murdoch’s Boyer Lectures? He has an awful voice but he says a lot of sensible things – as you can imagine, he has the benefit of an unusually wide perspective. His dislike of elites and authority mark him as an Australian; his enthusiasm for change explains why he lives where he does. Rupert was optimistic about newspapers. He understands that newspapers are a brand, that they are about trust and that their oxygen is the reader. 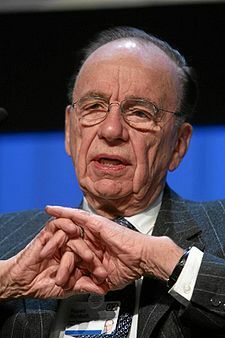 Using that brand, he argues, News Corp will deliver relevant information in whatever technology format is appropriate. Spot on. Much hand-wringing by journalists nonetheless about the death of journalism now that the Rivers of Gold (classified advertising), are flowing to the Internet. The old newspaper business model said, we will provide the reader with journalism and companies will pay for advertising so they can access those readers. But readers now search Internet databases; a far better system for the classifieds buyer. Simultaneously, the Internet is competing with newspapers for eyeballs. What is to be done? What newspapers have is credibility, so they should look to use this competitive advantage in subject areas which are perceived as valuable. Where credibility is currently lacking. This is most feasible in areas where newspapers have not traditionally trodden. Take Search Engine Optimisation for example; a subject close to my economic heart. The web is full of SEO experts, all giving away free content and trying to up-sell you into subscriptions. The problem is, you don’t buy a subscription unless you have a high level of trust. You with me? Would I pay $100 a year for the opinion of one expert? Hmmm. Would I pay $500 for a subscription to the Wall Street Journal’s Best in SEO? If it has 20 contributors and a WSJ banner, I probably would. Would people pay $100 for a subscription to the Sydney Morning Herald’s Guide to Selling on the Internet? Many would. Would business people pay $500 for the New York Times’ Internet Networking subscription? Yes. The Economist’s Web Marketing? The Guardian’s Internet Relationships? The Mirror’s Best Bargains? Newspapers should be looking at the e-book market and turning some of those products into premium, branded subscriptions. They should develop new products which deliver expert content in technical and specialist areas. You can’t justify charging for ‘news’ or ‘opinion’ or ‘business’ because they are established as free info but anything new is fair game. Industry specific subscriptions will also work if the content is extensive. Your mainstream publication then carries normal articles plus pointers to Subscription Only articles, both on the web and in printed form. Newspaper management are not used to new products. They’re used to the monolithic publication. But the splintering of news into specialist subscription publications is a logical response to losing your advertisers. In effect, the newspaper could become the Editor of the Internet. Bret, cracked it in one. Interesting for those of us into social media, we are already able to discern good bloggers from bad. However, for most people who aren’t into it (the people who read the most blogs are bloggers….) then like any marketing environment, they look to a brand they know and trust. In Australia there is different levels of trust with different print – AFR and BRW are probably the pinnacle in business, and i really like Business News. After that, it depends upon the topic. Hard job under pressure. Give them enough time per story and you’ll get lots of good journalism. I suspect management determine what sort of journalism we get – less revenue means less story time per journalist. Until and unless they re-work the newspaper business model the journos are going to be squeezed. Subscription systems only work as long as you have a monopoly upon the intellectual property. As soon as someone purchases that information you effectively no longer have a monopoly. So you are essentially forced to continually churn out property so you can maintain your revenue stream. This is the recording and film industry method and while they are still profitable they are spending millions to protect their monopoly and it appears to be a battle they are losing. Newspapers are already late to the party. I don’t think they have the time needed to generate the level of interest they need. Even $500 subscription is paltry compared to a $2000 full page ad, and they currently get that per edition not as in a subscription where they’re forced to give access for a month or year or more. Newspapers need to be smarter. Most likely that means moving their operations completely online and targeting specific demographics rather than a one-size-fits-all approach. Maybe the entire site needs to be dedicated to your concept of a specialist publication. Newspapers biggest advantage is the levels of resources they can bring to bear. Through careful utilisation of those resources they could muscle their way into an already established online market place. That said, whether they can generate sufficient ad revenue in this current economic climate is something that beguiles the entire online industry. Re journalism: My biggest concern regarding the industry is that a good journalist is considered to be someone that reads the big newspapers and watches the major news stations. It is no longer someone that investigates, uncovers facts and then compiles them into a story. Journalists seem to have gotten very lazy. I think you are mistaking professional press for journalism. There is a difference in purpose between a professional press publication (“pay me $100/yr and advance your chance of increasing your profits considerably more”) and that old fashioned idea of the fifth estate. As lazy as you might think that journalists as a whole may be, I fear for the global news corps. Services such as AP may survive (since people may be able to distribute the cost of one or two such networks via ubiquity and web ads). But what of the really good foreign correspondents for, say, The Economist reporting from some country undergoing global-economy enduced instability? Or, for example, I remember in my own youth (yeah, these many…) the Christian Science Monitor was the best international news published in the US — all gone for the most part. A long-tail economy does not support large organizations such as operas, the upfront cost of f/x movies, or international savvy journalism organizations. Because of the increased importance of a savvy global fifth estate — which can’t be perfectly substituted by citizen journalists on the ground in a network, unless they are well educated, experienced, well-travelled and well-seasoned — we will lose a vital aspect of our capacity to hear informed voices on important issues. Perhaps this interferes with the Oz distrust of elites? But, I believe that a variety of views from a variety of really well-informed journalists with more than a parochial viewpoint is a meritocracy, not a aristocracy. Hey Bret, just dropping by to say Hi. I look forward to learning more about marketing from you. And also to your book sometime in the near future I hope? Sure Vern, send me an sms one morning next week; I’ll mentor you a cup of coffee in Northbridge. Monday and Wednesday are good.